System analysis is a theory-based approach with a wide range of practical applications for interdisciplinary co-operation that was derived from the General Systems Theory, as introduced by Bertalanffy and others. Formerly being developed as an analytical instrument, it has now become also an integral part of model development. The method starts with the delimitation of the investigated system from the surrounding context, the specification of its compartments, key factors, driving forces and how these interact with each others. To gain a conceptual overview, a cause–effect diagram of a system can be constructed to sketch the influences between the investigated components. Such a graphical examination can be refined in a next step into a flow-diagram (flow chart) that depicts the compartments, connections and controls of the system. 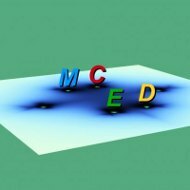 This tool is of considerable help when developing model systems further on the basis of differential equations, as it enables to characterize time-dependent quantitative changes of the components as a result of their interactions. Over the recent years, object-oriented systems analysis (OOSA) has been established as a structural extension of the classical systems analysis. By using the object-oriented programming approach, OOSA enables to represent and subsequently simulate dynamic systems which change their structure over time. We provide examples of the resulting complex interaction networks from marine fisheries and functional plant architecture.